The award winning, Expedia.co.uk is the largest online travel provider for the UK, serving millions of travellers every year. 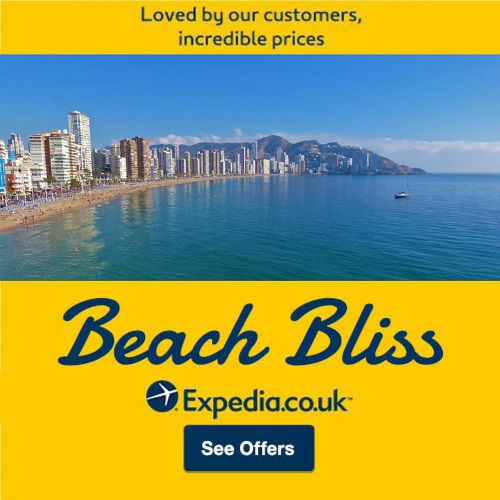 A huge choice of easy to book Costa Blanca hotels with over 350 Benidorm hotels, self catering apartments, cheap friendly pensions and small B&B guest houses. 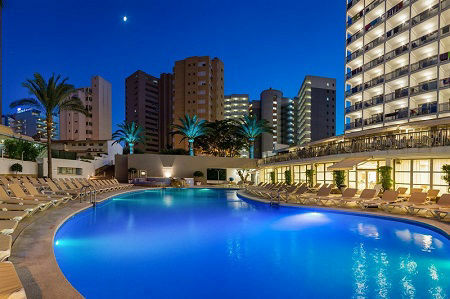 Find great deals and regular sales, save of up to 50% on selected Benidorm hotels out of season. 895,000 HOTELS - Search over 895,000 properties worldwide and 550 airlines worldwide for a million flights, hotels, packages, and more. CUSTOMERS RATE EXPEDIA 4.2 STAR - Users rate their experience as 4.2 stars out of 5 from over 34,000 reviews in the past year *source feefo. 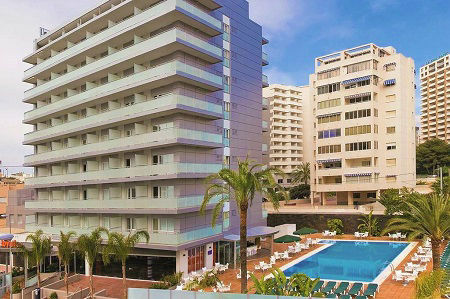 Refurbished hotel (2019) in the heart of the Playa Levante close to the best nightlife, the beach and weekly Benidorm market. Bike friendly with secure store, wash and repair center. Good for couples. Refurbished in 2016 Hotel Don Pancho offers a touch of luxury in a class of it´s own. Always a top choice for couples who look for quality and superb service. Beach 150m walk. 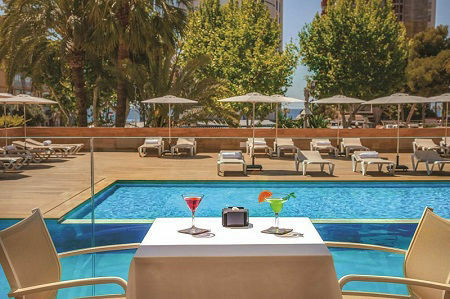 Top location just a short stroll from both the Levante beach and the old town for Tapas bars and restaurants. The Royal is a good choice for ADULTS ONLY with All Inclusive options available. 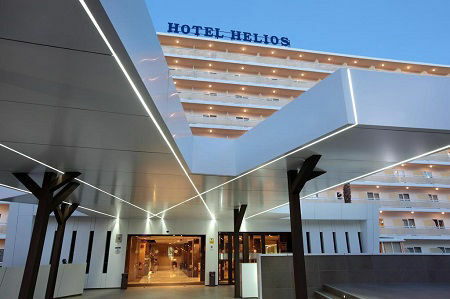 A top choice FAMILY hotel with great facilities for all the family. Popular with couples and families plus a favourite choice with British guests. Good pool scene here including a kiddies splash pool. Free "Cancellation" and "Pay on Arrival" policies are set by each Hotel and may not be available for ALL rooms in ALL hotels and for ALL dates. Some rates may require 100% payment at the time of booking and may not be refundable. Please read carefully the conditions at the time you book to ensure you are happy. Flights are usually not refundable and any changes to a flight will incurr the airlines fees plus the applicable difference in price. Flight-inclusive holiday packages and Flight-Plus arrangements created by you on Expedia.co.uk are financially protected by the ATOL scheme (under Expedia, Inc.'s ATOL number 5788). But ATOL protection does not apply to all holiday and travel services listed on their website (For example hotel only or flight only bookings are not protected).